Chile’s coastline is one of the longest and most spectacular in the world. 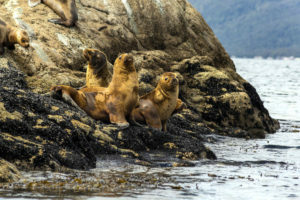 These waters and coastal fjords, channels, and islands are home to numerous species, including sea lions, dolphins, whales, and hundreds of unique birds. 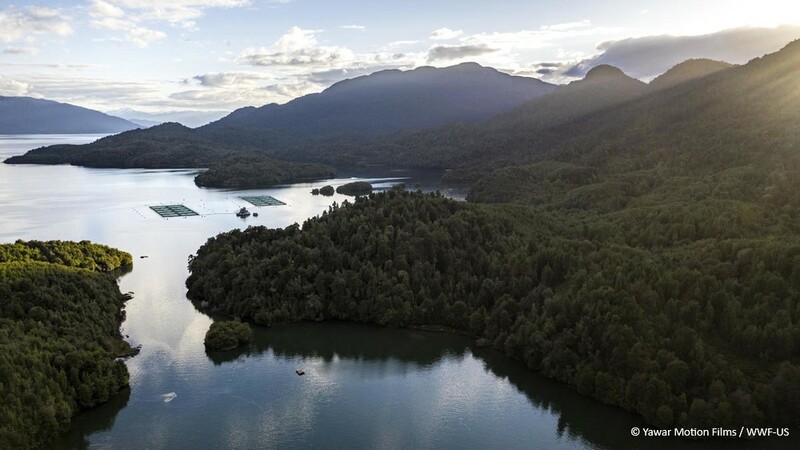 Southern Chile’s pristine waters also support one of the largest farmed-salmon production hubs, supplying almost a third of all farmed salmon globally. The salmon industry in Chile employs more than 70,000 people with annual exports of more than $4 billion USD. Seafood farming, or aquaculture, is one solution to help meet growing consumer demand for seafood products as 93% of wild fish stocks are fished to capacity or overfished and no longer able to support higher catches. Aquaculture may help alleviate pressure on wild fisheries, but farming practices can pose threats – like sea lice, microbial infections, antibiotic discharge, and other diseases – to delicately-balanced surrounding environments if operations are not managed responsibly. The good news is that by implementing best practices seafood farming can be done more safely and with less impact on the environment and on local communities and workers. 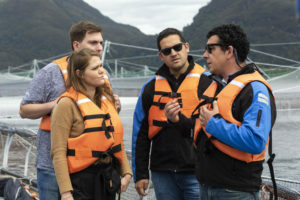 WWF is working with companies like Royal Caribbean to support responsible production of farmed fish, so that the aquaculture industry, which will continue to operate and provide food for people around the world, minimizes the environmental and social impacts of fish farming in our waters and on our lands. To ensure that farms are managed responsibly, WWF supports the Aquaculture Stewardship Council (ASC) standard as the most credible, robust certification currently available for labeling responsibly farmed seafood. obtain MSC and ASC Chain of Custody certification for its global fleet of ships in order to assure that seafood marked as MSC or ASC certified is traceable to a certified fishery or farm. To learn more or to partner with WWF, please visit Seafoodsustainability.org.